Discuss changes to the NHMRC Development Grant scheme, which is NHMRC’s main mechanism for funding health and medical research at the proof of concept stage. Discuss improvements to how industry track-record is valued in NHMRC peer review. These changes aim to enable researchers to move more flexibly between industry and academia. 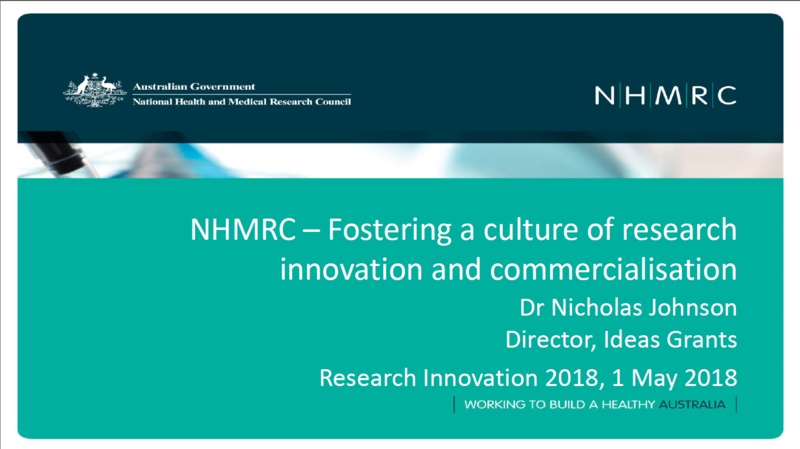 Discuss NHMRC’s new Innovation web page, which provides information to researchers about the commercialisation process.